distributed by Small Planet Foods, Inc. Welcome to Chocolate and Seeds Theme Week. 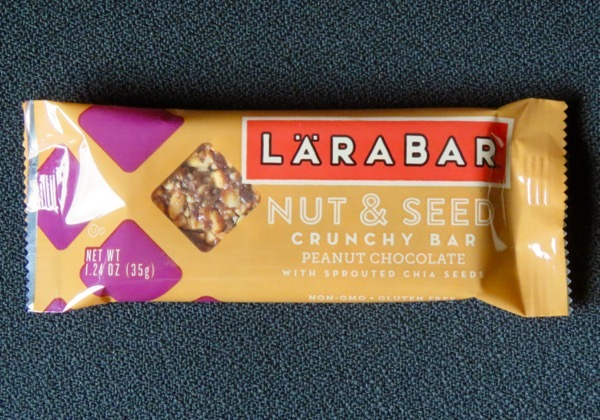 Today's Larabar Nut and Seed Crunchy Bar - Peanut Chocolate with Sprouted Chia Seeds (Product of Canada) was distributed by Small Planet Foods, Inc. (Minneapolis, MN). 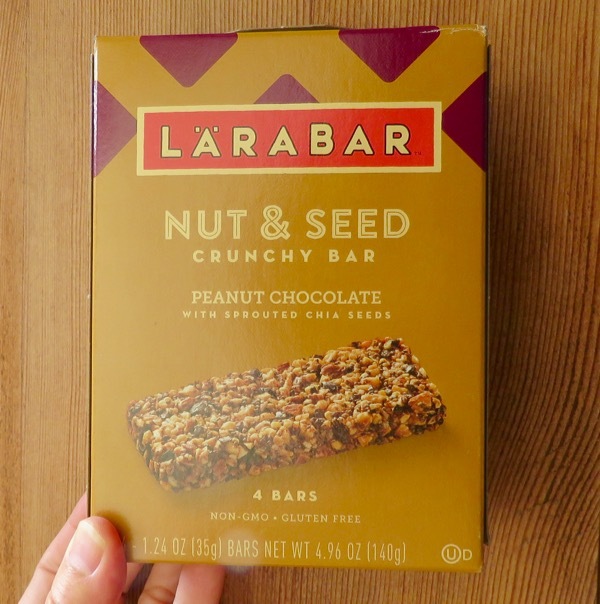 This Non GMO and Gluten Free bar contained a relatively short list of ingredients: Peanuts, honey, sprouted chia seeds, cacao nibs, maple sugar, almonds, coconut oil, cocoa powder and sea salt. The bar had a naturally sweet flavor, a crunchy, chewy, slightly seedy texture with hints of nuts (peanuts, almonds) and chocolate. 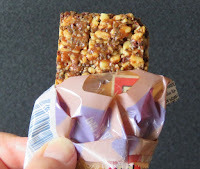 The maker's use of sprouted chia seeds seemed to make these resilient seeds a bit easier to consume and digest.